The BELFIDA ME-CANDLE COLLECTION is created from all natural butters and pure essential oils that have specific healthy aromatherapy benefits. The collection is separated into three product themes that we call SENSUAL – PURIFYING and THERAPEUTIC. Check-out the collection to find the benefits of each BELFIDA ME-CANDLE individually. 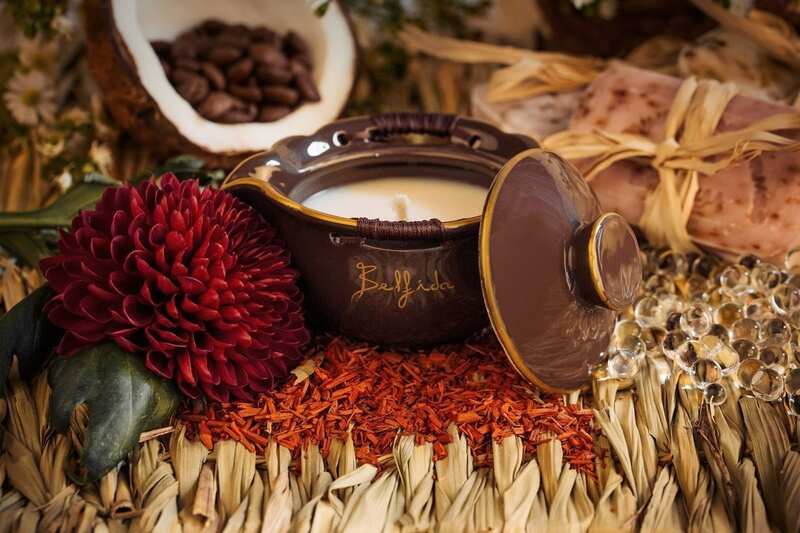 The BELFIDA ME-CANDLE is a cute candle with a luxurious urban twist. Deep penetrating skin moisturizer for both body & face. Face & body balm / oil. 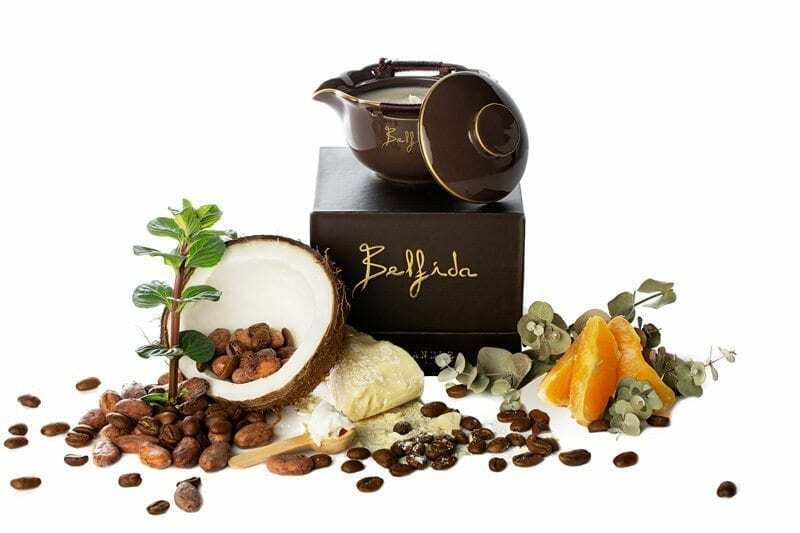 The BELFIDA ME-CANDLE spread like warm silk on the skin. Thoroughly nourishes & replenishes skin. Gives a beautiful, glowing & youthful skin. Prevents premature aging & wrinkles. Softens & smooths body & mind. Leaves skin beautifully scented for hours and hours. Creates a beautiful, relaxing atmosphere. 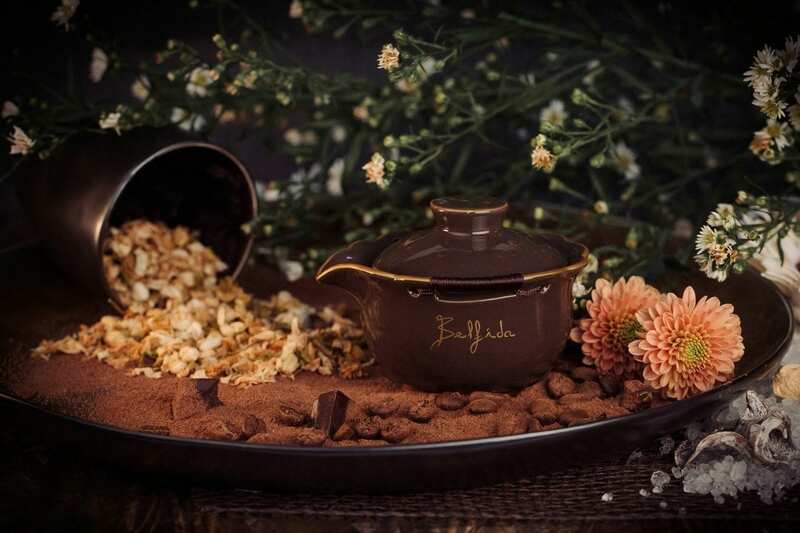 The best ingredients, which are all cold pressed, are selected as a base for each BELFIDA ME-CANDLE to rejuvenate the senses while the warm oil is absorbed efficiently into the skin, making it feel nourished and supple. Raw Cacao Butter has a high percentage of fatty acids and moistens the skin deeply, enhances the body immune system, stops signs of aging and reduces inflammation. Raw Shea Butter acts as a superb moisturizer and gives a nice glow to the skin. It helps tissue cell regeneration and softening of the skin, which reduces wrinkles. It also boosts collagen production. Soy is purported to diminish wrinkles, reverses skin damage and tightens the aging skin. Cocos Oil is a beauty multitasker, strengthening underlying tissue and providing deep moisture. Almond Oil owes its benefits to the generous amounts of monounsaturated fatty acids, vitamin E, potassium, proteins, zinc and a number of other vitamins and minerals it contains to make the skin healthier, reduce wrinkles and fine lines, delays signs of aging and removes impurities and dead skin cells. Vitamin E serves as an antioxidant fighting off free radicals that cause wrinkles, lines and age spots. Cosmetic Gold helps in improving the blood circulation, hence it helps hydrate and maintain the skin’s moisture level. The small particles of cosmetic gold get absorbed into the skin imparting a rich glow. This makes the skin healthy, fresh and radiant. Essential oils are highly concentrated non-water soluble phytochemicals that are distilled from different parts of plants. The benefits come from their antioxidant, antimicrobial and anti-inflammatory properties. These healing oils act as natural medicine without any side effects.